Caracas: Venezuela’s top court called on the ruling Constituent Assembly Monday to strip opposition leader Juan Guaido of parliamentary immunity. The decision by the Supreme Court of Justice could open the way for President Nicolas Maduro’s rival Guaido, recognized as interim president by more than 50 countries, to be prosecuted. The court ruling cited Guaido’s violation of a ban on his travel outside Venezuela when he visited Argentina, Brazil, Colombia, Ecuador and Paraguay from late February to early March. It came as Guaido and Maduro are locked in a battle for power in the oil-rich country, which is facing a crippling and deepening economic and political crisis. The competition has been escalated into a geopolitical struggle, drawing in the United States and its allies that support Guaido, and Russia, Cuba and China backing Maduro. Though unpopular in a country spiraling ever deeper into economic chaos, Maduro has the upper hand at home, thanks to loyalty from his military chiefs and, more recently, the presence of 100 Russian troops. 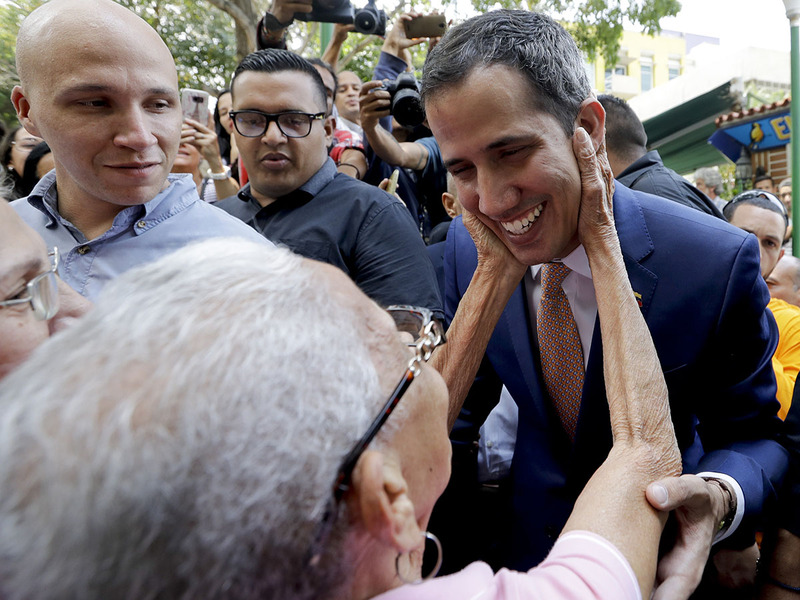 Abroad, Guaido is buoyed by US sanctions against Maduro’s regime funneling funds his way, and efforts to have his envoys recognized over Maduro’s in diplomatic missions and international organizations. Maduro, who so far has heeded US warnings to not arrest Guaido under threat of unspecified repercussions, appears nonetheless more confident since Moscow’s overt protection.